Start advertising on Expat Media and connect to audiences in the UAE and abroad. Contact us to plan your campaign or to get our advertising rate card. To advertise on Expat Media or inquire about advertising campaigns, contact us. You may post free advertisements on ExpatMedia.Net. Please do not use foul language or indecent photos, and make sure your advertisements are genuine. We reserve the right to delete your post or alert authorities if your postings are found to be in breach of the UAE law. If you need to post more advertisements than your daily limit, contact us for an upgrade to a premium account at a discounted rate. Do you need a media partner for your event? 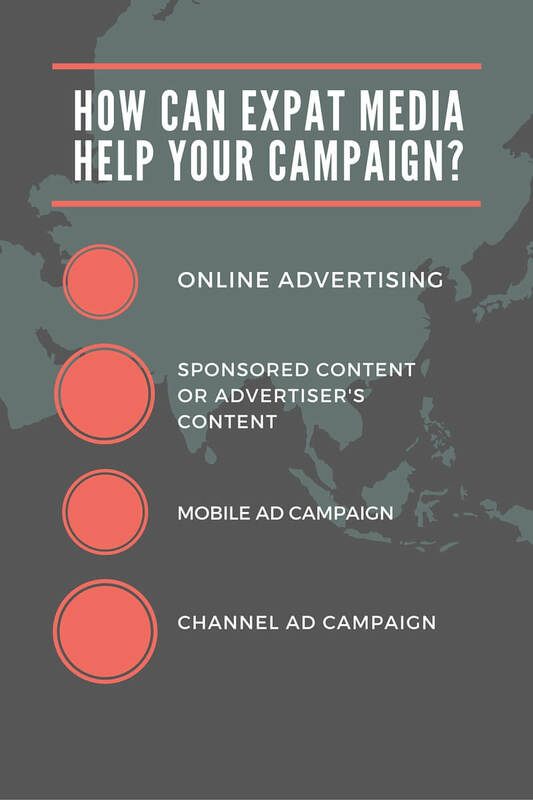 Contact us for more information on how we can help your campaign.